As the snow begins to build up it is a good idea to keep your Winter home maintenance up! Below are a few helpful tips in preparing for more snow. Remove snow from your gutters. Great tools to aid in this process can be found at Tum A Lum Lumber to prevent ice damming. Make sure all of your hoses are disconnected and no outside water is connected or on. Keep all of your condensation lines and HVAC equipment free of snow and prevent freezing. Any lines that freeze can prevent the unit from working. It is a good idea to remove snow 5-8′ around your house so when it melts the water is not building up around your foundation. It is also a good idea to remove snow around fire hydrants. If ever needed it is important emergency personnel can find it quickly. If you have a shallow pitch roof it is important with large accumulations of snow to remove snow to prevent extra weight as well as ice damming. Keep some supplies handy if you need to lay low for a few days. We hope you all enjoy the snow and have a safe and fun time with your families! 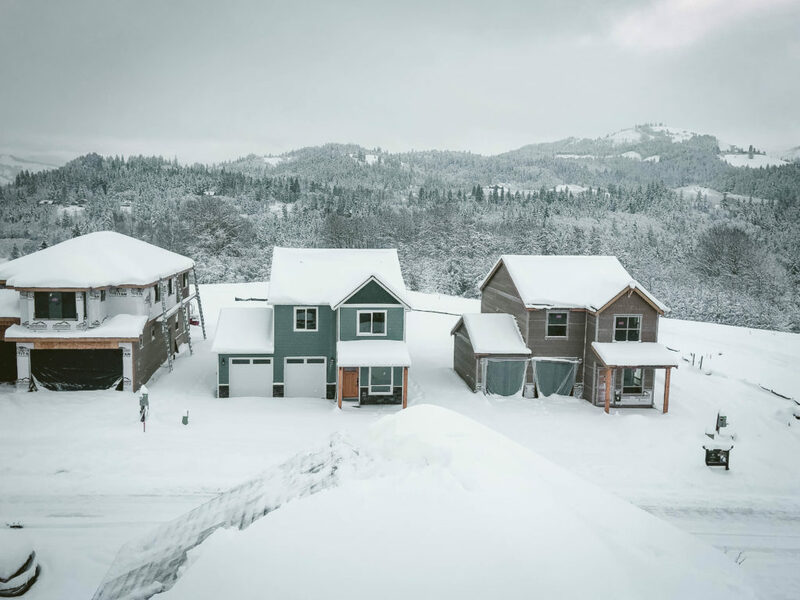 This entry was posted in Builder, Home, Home Builder, Home Builder Hood River, Home builder The Dalles, Home Tips, Hood River, Uncategorized, Winter. Bookmark the permalink.